Making a decision to do comedy is a great journey filled with highs and lows. You get to learn a lot about yourself and meet a bunch of great characters. Making a room full of people laugh can make you feel like you’re Superman. But, when you bomb, you feel more like you’re Superman IV: The Quest For Peace, inadequate and forgettable. On this journey, there is one thing that can lead us down the wrong path, ourselves. This past April, I moved from Wisconsin down here to Chicago. The whole time leading up to the move, I knew I wanted to get into stand-up comedy, so, I began to write material. I carried a tiny notebook with me at all times so whenever an idea for a joke came to me, I’d jot it down. It was completely filled by the time we moved. So, I began to sort through what I had. I’d spend nights streamlining jokes, making small ideas comprehensible, or scrapping some all together. Now that I had built up an arsenal of material at home, I figured it was time to get out there and attack an open mic. I knew how I wanted my set to go and it sounded great…in my head. That was the main problem I created for myself, I set up expectations. My first joke went over really well. It was a very quick and simple self deprecating one liner. But then, when my jokes weren’t getting laughs in the places that I had expected, I stood there wondering what went wrong. Fazed by silence, I realized my 3 minutes were winding down. 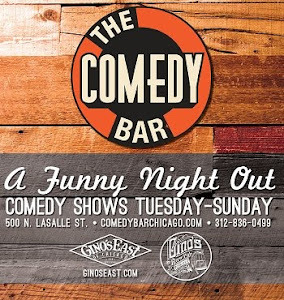 My time to attack the Chicago comedy scene was running out, so I FLEW through the rest of my set. I figured a barrage of jokes would distract the crowd, my time would be up, and I could retreat to the safety of my apartment. For days, I wondered what went wrong, and then I realized, I wasn’t me up there. 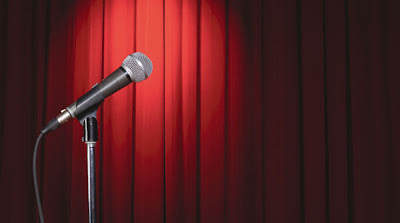 In my head, I thought my first open mic would be like a seasoned vet’s HBO special. I made lofty expectations for myself and deserved what I got. So what went wrong? Two things went wrong. First, I didn’t realize where I was, you know, in a room full of nervous people trying out jokes…JUST LIKE ME. Sure, there are those that are more polished than others, but an open mic is a safe haven for comedians. It’s a place where we can learn from each other, a training ground, and a practice field. Second, I didn’t care about what I was saying, and if you don’t care about what you’re saying, no one else will either. Telling a joke does not make it funny, selling it does. As I keep doing comedy, I look to find progression in how I feel on stage. I know I will bomb again, I know I will screw up a joke here and there, but what matters is how I learn to handle it on stage. Even when I watch other comics tell jokes that don’t connect with an audience, I notice that a good recovery can be the highlight of the set. Who knows, maybe to help me grow as a comic, I’ll do a set of terrible jokes just so I can work on recovery methods. 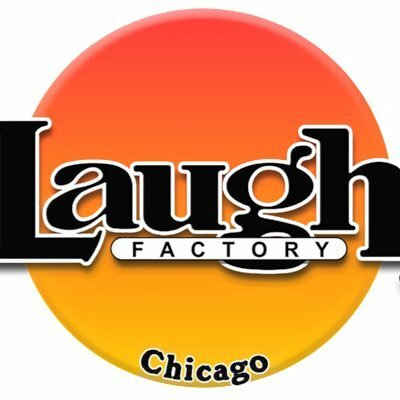 So being a comic isn’t just writing down jokes and spewing them out in 3-5 minutes, like I thought before I moved to Chicago. I never expected there to be this deeper social aspect of it. You can learn a lot about yourself, how humbling rejection can make you feel, and how being a member of society can piss you off so much, you just have to talk about it in a dark back room of a bar for 3 minutes. Knowing who you are and what you’re jokes are about can make a huge difference in how you handle what happens during a set. And hopefully, as your journey as a comic continues, you can find things out about yourself that can build confidence to help your next set be a little better than your last.